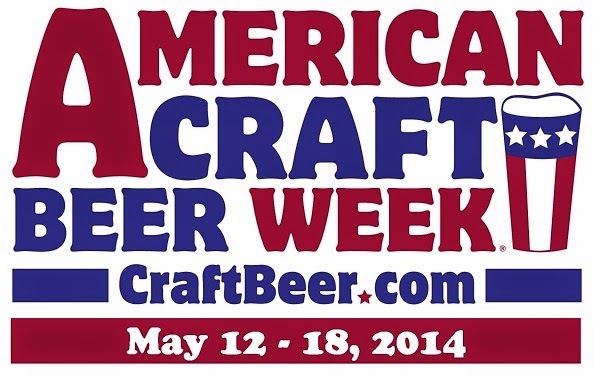 Did you know American Craft Beer Week starts tomorrow? Now you do! Here's a quick rundown of who's doing what and when. » Arbor Brewing Brewpub, 114 E. Washington, will have a couple guest beers on tap all week, selected by head brewer Mike Moroney. Look for Mt. Pleasant Sacred Gruit Ale and Dogfish Head 90 Minute IPA. And, of course, today is happy hour all day. » Arbor Brewing Microbrewery, 720 Norris, Ypsilanti, is releasing a different special beer each day of the week. Today: Remedy Ginger Pale Ale, a crisp 7.2% ABV ale with a nose full of ginger and subtle citrus hop notes. » World of Beer, 1300 South University Ave., is having a Sam Adams tap takeover, featuring Boston Lager, Double Bock, Hazel Brown Ale, Honey Queen Braggot, Rebel IPA, and Summer Ale. Everyone who orders a Sam Adams beer gets a free Sam Adams glass (while supplies last) and a ticket for a raffle to win something cool. Boston Brewing rep Catherine will also be on hand to talk beer. » Arbor Brewpub: Take advantage of Take-Out Tuesday; get $5 off growler fills and $1 off six-packs. 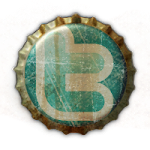 » Arbor Microbrewery: On tap is Tett-Bang! Barleywine, a 12.3% ABV, deep amber, medium-bodied brew with a toasted malt aroma and underlying dark fruit flavors. » World of Beer: Loyalty Bottle Night, with a release of Bell's Black Note Stout bottles for Loyalty members (limited quantities). Other bottle release include Oskar Blues GUBNA Imperial Ale and various Widmer Brothers bourbon barrel aged beers. Munchies will also be provided. » Arbor Brewpub: Get a keepsake logo tasting glass with purchase of a beer sampler. » Arbor Microbrewery: On tap is Ypsilambic, a 5.5% ABV wild fermented lambic-style wheat beer aged for four months in oak barrels. » World of Beer: Come in for a Michigan launch party for Coronado Brewing of California. On tap will be six Coronado beers, including Orange Avenue Wit. Not only that, but a Coronado brewer will be there to talk beer and give and/or raffle off cool stuff. » Arbor Brewpub: It's Industry Day, when brewery employees, homebrew clubs, and Michigan Brewers Guild Enthusiast members receive 20% off retail and enjoy happy hour pints. » Arbor Microbrewery: Check out FIGJAM Belgian-Style Quadrupel, an 11.5% brew featuring dark fruit flavors with hints of fresh baked bread. » Jet’s Pizza Sportsroom, 506 N. Main, Chelsea, is celebrating with the country’s three largest craft brewers. All day, New Belgium, Sierra Nevada, and Sam Adams are pouring eight drafts apiece, with a portion of sales going to build an orphanage in Haiti. Buy any draft from the "big three" and win a ticket for the May 31 raffle of prizes like a New Belgium Fat Tire bike, Sierra Nevada pub mirror, and a chance to brew your own beer and have it featured at Jet’s. 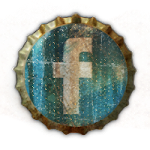 » Arbor Brewpub: At 4 p.m., drop by for a firkin of Buzzsaw IPA, a 7.1% ABV “West Coast” style brew that won Best of Show at the World Expo of Beer in 2011. » Arbor Microbrewery: Try His Mighty Hammer Juniper RyePA, a 6.2% ABV American IPA inspired by the Finnish drink sahti that’s pale in color, with cedar and pine aromas. Then, once you’re properly hopped up, join brewer Chris Davies and Director of Brewery Operations Dan “Dannyboy” Peron at 3 p.m. for a brewing demonstration. » World of Beer: All weekend enjoy featured kegs from some of Michigan’s top craft breweries, including Bell’s, Dark Horse, Founders, Griffin Claw, New Holland, and Short’s. Come by for a pint or two and maybe score some cool swag from the different breweries. 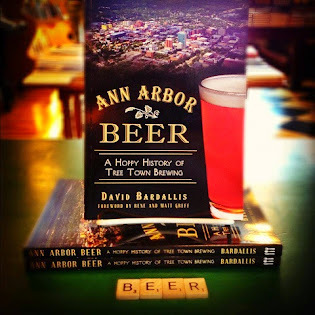 » Dan’s Downtown Tavern, 103 E. Michigan Ave., Saline, is hosting a Sam Adams tap takeover and prize raffle from 6-9 p.m. Try 11 different Sam Adams brews, including Roggen Wolf Rye IPA, Honey Queen Braggot, Third Voyage Double IPA, and Curious Traveler Shandy. » Arbor Brewpub: Get in on the “Meet the Brewer” tour and mini-tasting with head brewer Mike Moroney from noon to 1 p.m. Space is limited; RSVP to beth@arborbrewing.com. » Arbor Microbrewery: On tap is Mundus Novus, a chocolate rye dubbel brewed in collaboration with the Troubadour brewers from Ghent, Belgium, and featuring Columbus and Tettnang hops, along with a respectable 8.8% ABV. » Arbor Brewpub: Mug Club members enjoy happy hour pints all day, and new members can join for $25 off. » Arbor Microbrewery: Capping off ACBW is a special tapping at the Arbor microbrewery of More Fun, a 5% ABV oak-aged pale ale originally brewed for Ashley’s 30th anniversary and made with Columbus hops.